It has been a busy few months for Elgato, the streaming hardware specialists. It was announced in June that they were being acquired by Corsair, the Stream Deck Mini was launched in July (review), and September saw the Thunderbolt 3 Mini Dock's release. It would be understandable if some things got lost in the shuffle, but it appears that they're still keeping their eyes on the ball. 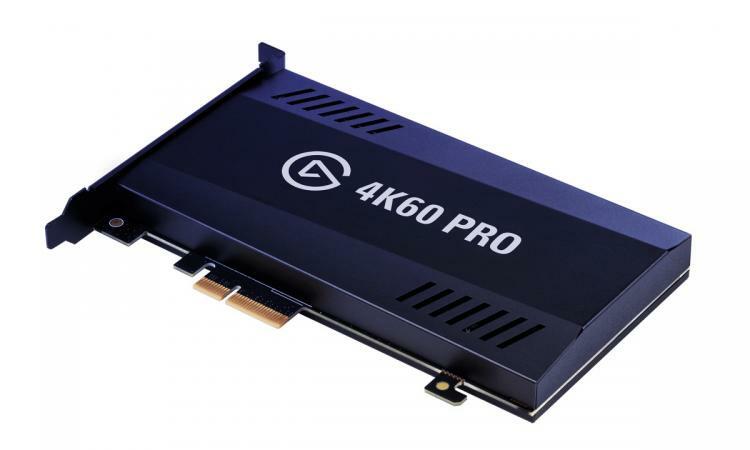 This week it was announced via social media that the 4K60 Pro, Elgato's flagship PCI-Express videogame streaming and capture card, has been updated to support HDR passthrough while recording or streaming in SDR. Support comes via the version 1.2 update of the 4K60 Pro's 4K Capture Utility. A growing number of HDR titles are now being released for consoles, and HDR TVs continue to roll out in all markets, so it's unsurprising that support would be a priority. Sadly there is something of a snag: only recent revisions of the 4K60 Pro are compatible with the feature. Elgato's 4K60 Pro range was refreshed silently with a new revision in July 2018 to lay the groundwork for HDR10, but older versions of the card weren't able to support the standard. For many other companies that would be the end of the story, but Elgato are taking an extremely rare and customer-friendly step by offering a retroactive exchange program for the older models. Users worldwide who bought the older design can exchange it with the newer model, for free, until January 31th 2019. The 4K Capture Utility 1.2 will help to identify if your card supports HDR10 passthrough, and the Update's broader changelog is reproduced below. Whats new in 4K Capture Utility 1.2? With this update, we’re adding HDR10 pass-through support to 4K60 Pro. Provided you have an Xbox One S, Xbox One X, PS4 or PS4 Pro and a HDR10 capable TV, you can now play in and experience HDR while capturing or streaming in SDR (Standard Dynamic Range) thanks to our built-in tonemapping. - Updated EDID for 2560x1440 to fix audio issues. This was made possible by community feedback!